If you were injured at or near the Port of Miami, then you should call the Port Miami accident attorneys at the Wolfson Law Firm in Miami. We offer free consultations and we are available 24/7. Our Port of Miami injury lawyers are bilingual and our offices are located minutes away from the Port Miami. Call us now at (305) 285-1115 so we can discuss your Port Miami accident. Since Miami is one of the travelers’ favorite destinations in the world, it is no wonder that Port Miami is the cruise capital of the world. It is the largest passenger port in the world, and one of the largest cargo ports in the United States. Port Miami has huge importance for Florida economy, as it employs more than 175,000 people, providing an economic impact of more than $1.4 billion in taxes, state and local, annually equaling almost 4.5% of Florida’s GDP. Located in the Biscayne Bay, Miami Port is the home of many world-renowned cruise lines, such as Norwegian Cruise Line, Royal Caribbean, and Carnival. 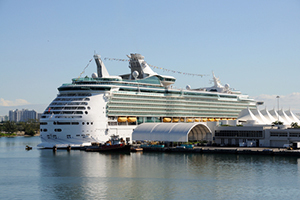 It hosted the largest cruise ships until 2009, when Oasis of the Seas and Allure of the Seas move to Port Everglades. Whopping 7.4 million passengers pass through the port every year, but aside of being a cruise line passengers’ favorite, Miami Port is one of the rare ports in the world that serves cargo ships as well. It is the busiest cargo port of Americas, where 7.4 million of cargo passes through annually. In 1997, Miami Port management undertook a major redevelopment program to keep it as one of the world’s best seaports. It costs $250 million to complete it. One of the biggest challenges in the process was building the Port of Miami Tunnel. It took four years to be completed. It connects the port with the interstate highway system, allowing vehicles avoid the infamous congested Miami traffic. Those who want to reach Miami downtown, however, can still use the great road connections to go there. The Port of Miami is liable for personal injuries that occurred on premises under their control. They have to respect Florida premises liability laws, according to which they owe visitors a duty to provide a safe environment for using the premises. That means that when someone suffers a personal injury at the Port of Miami due to a reason that wouldn’t have existed if the port’s management and employees were not negligent to breach this duty, they owe him or her damages recovery. They would likely have to cover all the medical bills and other expenses related to the unfortunate event. The Port Miami accident lawyers at the Wolfson Law Firm can assist you in determining if Port of Miami or some other entity is responsible for injuries and damages and should be held accountable. At the Wolfson Law Firm, our Miami personal injury lawyers have helped good people who were injured due to the negligence of another since 1963. Our bilingual injury attorneys in Miami are ready to help you as well. Call us now for your free and confidential consultation at (305) 285-1115 or toll-free (855) 982-2067. We are available to help anyone injured at the Port of Miami – whether they are from Florida, another stated or even from another country. 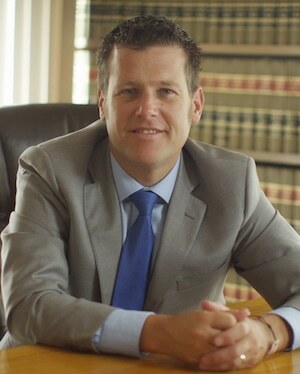 Call us and let us answer the questions you have so that you can begin your journey to get the justice you deserve.